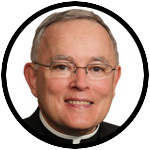 The following are the remarks by Archbishop Charles J. Chaput at the conferral of papal honors for lay persons and religious of the Archdiocese of Philadelphia on Sunday, Jan. 21 at the Cathedral Basilica of SS. Peter and Paul. Read full coverage from the evening Vespers ceremony, with photos, here. A lot of people in Philadelphia are gathering at our football stadium this afternoon. They think that what’s happening there is more important than what’s happening here. But we know better. We know that what’s happening here — a celebration of God’s goodness as shown in the lives of our brothers and sisters — is more important than any football game. So if you didn’t get a ticket to the game and ended up with us here today instead, you have the better part. I’d like to welcome in a very special way those who are being honored and their families. It’s wonderful to see all of you here. Some of you aren’t members of our Catholic community, and we’re very, very happy to have you with us today, because when we honor God’s goodness in the lives of others, that’s something we can celebrate together whether we’re Catholics, or other fellow Christians, or Jews, or anyone of good will. The Scripture reading for Vespers on the Third Sunday of Ordinary Time, which is what our celebration is today, is very brief. It’s from the First Letter of St. Peter. I’d like to repeat just a small portion of that reading to focus our attention on the Word of God. We believe that God gives us opportunities frequently, every day really, to be born again, to start over, to be re-made by His grace into the new creation that God has planned for our world. We believe that God calls us and has a plan for us; that we don’t define ourselves; but that in every way we’ve been defined and called by God. When I celebrate the Sacrament of Confirmation, which I do quite often, I ask the young people, the confirmandi who are gathered, whom they belong to. I ask them, “Do you belong to your parents?” They’re going into sixth grade so they debate that a bit, but in the end say no, they’re not owned by their parents. Then I ask them, “When you get married, are you going to be owned by your husband?” And of course the young women immediately say “No! Not at all!” And the guys follow in the same path. But when I ask them, “Do you belong to yourself?” they all say “Yes!” — because they’re infected with this illusion of self-definition. People today think they’re captains of their own fate, masters of their own souls. They think that they’re the lone authors of the story of their lives. You’ve heard Frank Sinatra sing it, “I’ll do it my way.” But to be a Christian is to see things differently — to understand that we’re all called and defined by our creator, by God. Today, we celebrate the fact that some of our brothers and sisters have been recognized by Pope Francis for responding to that grace which comes with God’s call. They’re representative of hundreds of thousands of people in the Archdiocese of Philadelphia and in the Church throughout our country. They’re not the only ones who deserve this praise, but they’re the ones whom the Pope is rightly recognizing today. When they come forward, you’ll notice that they embody the spectrum of people in our Church, people from different communities, people from different ethnic backgrounds, people who have contributed many kinds of accomplishments. As we celebrate their uniqueness, we also celebrate the fact that they’re a part of our community as our brothers and sisters, and we’re grateful to God for them because by their lives, they teach us how to be good and how to be generous. People probably think we’re honoring you for what you’ve done. In some sense that’s probably true — you wouldn’t be noticed if you hadn’t done something meaningful and important. But what we really honor is who you are; not what you’ve done; in other words, how good you’ve become. What we do flows from who we are. What pleases God is who we are more than what we do. God has called you, and you have responded. As you come forward today accepting your award from Pope Francis, understand that you follow in the footsteps of a long history of people who have loved God with all their hearts and served him generously. So receive the award with humility and with gladness, because through you, we celebrate the goodness of God, who has accomplished a great deal in you. May God be praised in what we do today. We ask this in Jesus’ name.